Seeds or plays on table. 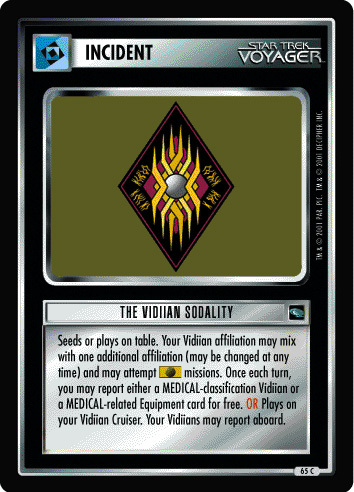 Your Kazon affiliation is immune to assimilation. 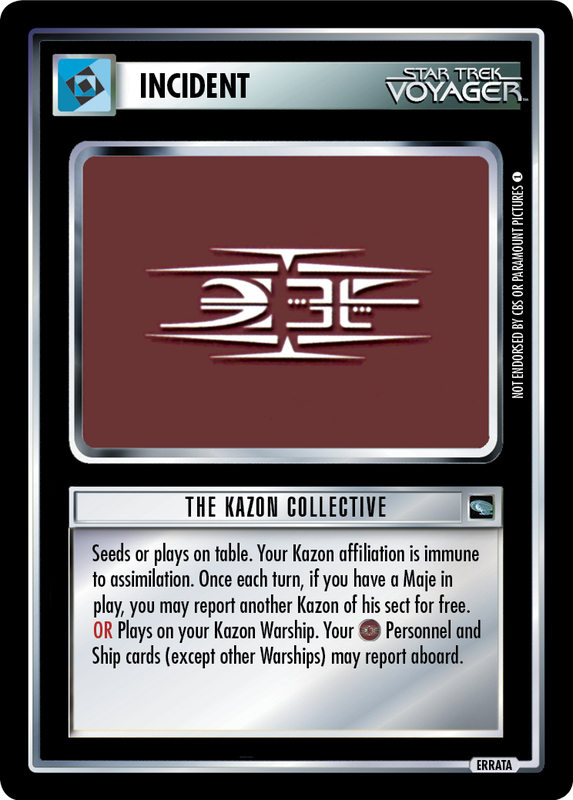 Once each turn, if you have a Maje in play, you may report another Kazon of his sect for free. 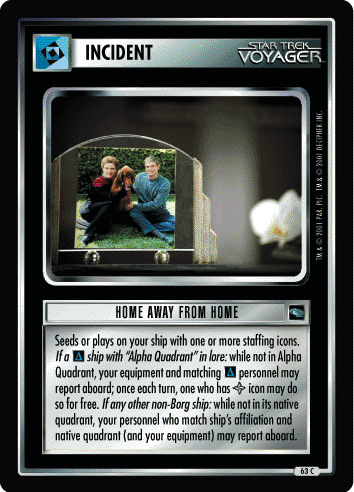 OR Plays on your Kazon Warship. Your Personnel and Ship cards (except other Warships) may report aboard.